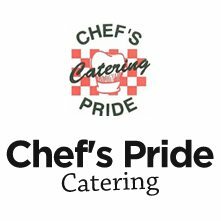 Pig Roast $22.00 – Chef's Pride Catering, Inc.
Price $25.00 per guest with a minimum guarantee of 75 guests. Price $30.00 per guest with a minimum guarantee of 50 guests. Client is responsible for providing four eight foot banquet tables for buffet.